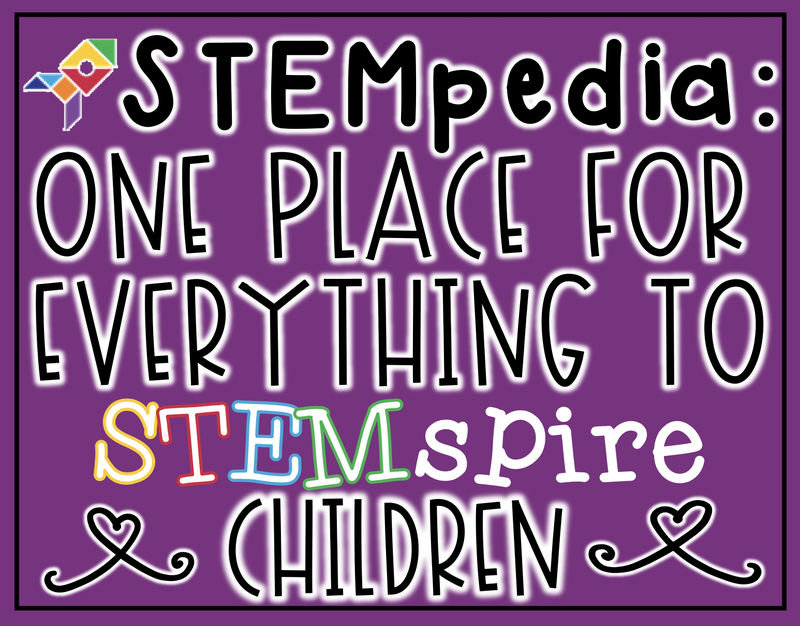 STEMpedia: One Place for Everything to STEMspire Children | The Techie Teacher® . This is a sponsored post written by STEMpedia. STEM is in the air! It is an acronym for Science, Technology, Engineering, and Mathematics--the four wheels responsible for carrying the caravan of any economy forward ensuring a healthy society. STEM has been around for quite awhile and has garnered momentum since 2009 when the U.S. Government under the Obama Administration launched the Educate to Innovate campaign to motivate and inspire the youth of America to excel in science and mathematics. Unless teachers are made well aware of the concept and have access to the right tools, we may not achieve what we wish to with this revolution. Well, because they teach! A teacher has the power to build society. In his/her hands lies the key to transform today's youth into able leaders and innovators of tomorrow. But for this, they themselves first need to "grapple with the different orientation, tasks, and requirements in and out of school to facilitate students' learning in a STEM setting" stated by Mohamed El Nagdi, a teacher with 26 years of experience in teaching. Teachers first need to be educated about STEM education and what it entails, develop a mindset in coherence with it, and gather resources-latest technology and comprehensive learning resources that would help incorporate STEM into their classes. Now we know that in order to teach STEM, teachers need to first be aware of it and have all the right supplies to ensure their students are moving towards excellence. Fulfilling the two can be like finding a needle in a haystack. The resources one needs are enormous-proper tools, training, learning content, software, and more! Numerous organizations, government programs, initiatives and private players have done great things, but most end up solving only a fraction of the big problem. Some might provide great training, others may provide great hardware, while others might provide something else. A few may even offer more than one, but the jigsaw puzzle still remains incomplete at the end. This often leads to misspending. As it turns out there seems to be a promising solution that originated in Ahmedabad, one of the fastest emerging cities of India. STEMpedia, an omnifarious learning platform for STEM education is where you can find everything to learn and teach STEM with a learning-by-doing- approach. With futuristic, user-friendly hardware, intuitive software, and a variety of learning resources ranging from premium courses to free tutorials, STEMpedia is all set to assist STEM enthusiasts, especially children, across the globe and transform them into tomorrow's reformers. STEMpedia focuses its attention on the entry-level enthusiasts, i.e. 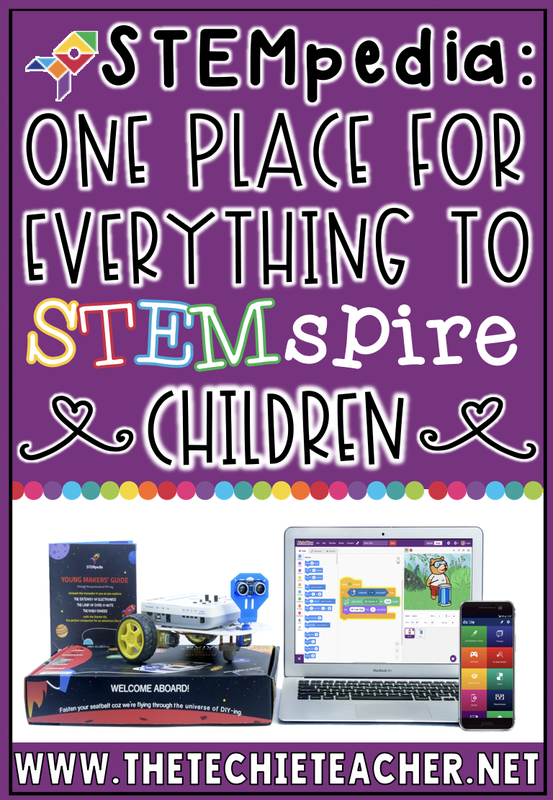 children who are new to STEM and DIYing, and has developed a beginners' DIY package, appropriately named, the STEMpedia Starter Package. It encompasses everything a beginner needs to fearlessly explore the realm of STEM. 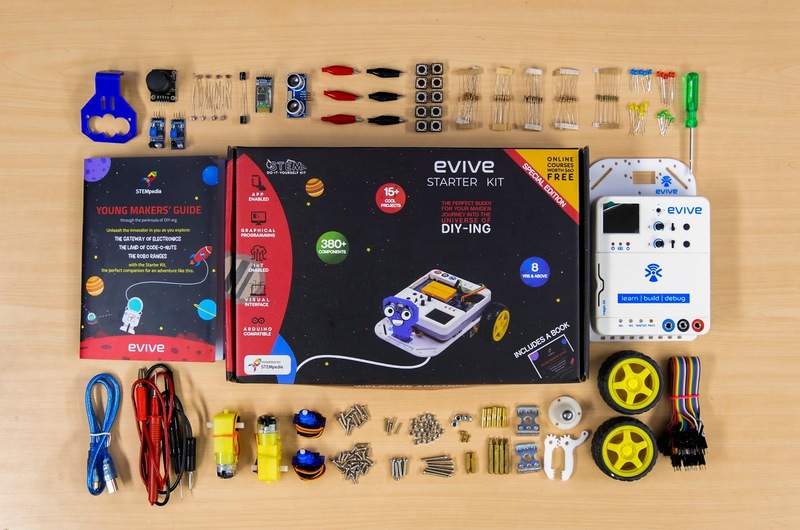 Hardware that is easy to work with: The first part of the package is the evive Starter Kit. It consists of evive, an all-in-one prototyping platform with a plug-and-play interface that makes DIYing child's play-and 380+ mechanical and electronic components for making over 100 interesting projects. Learning resources that help teach the 'hows' and 'whys': The STEM Safari is here to take care of them. It is set of three online courses on electronics, programming, and robotics which covers the essence of these three and includes quizzes, periodic assessment, and certification. Software to define actions: PictoBlox is up for this task! 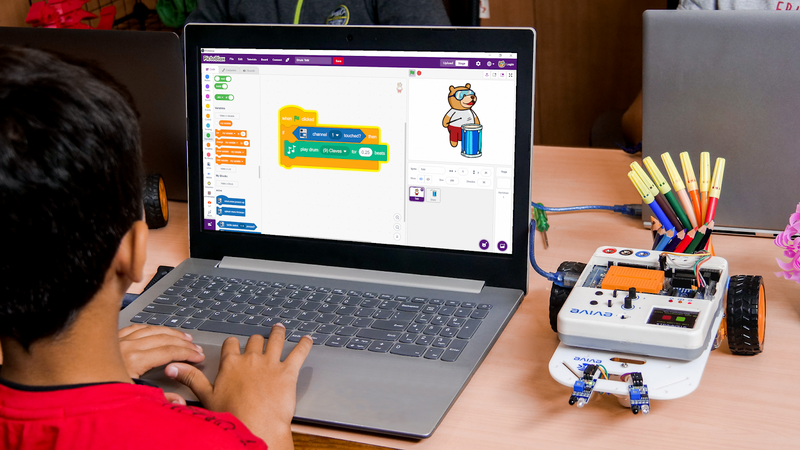 It is a Scratch 3.0-based graphical programming platform that makes coding simple and fun thus helping develop problem-solving skills without worrying about anything else. 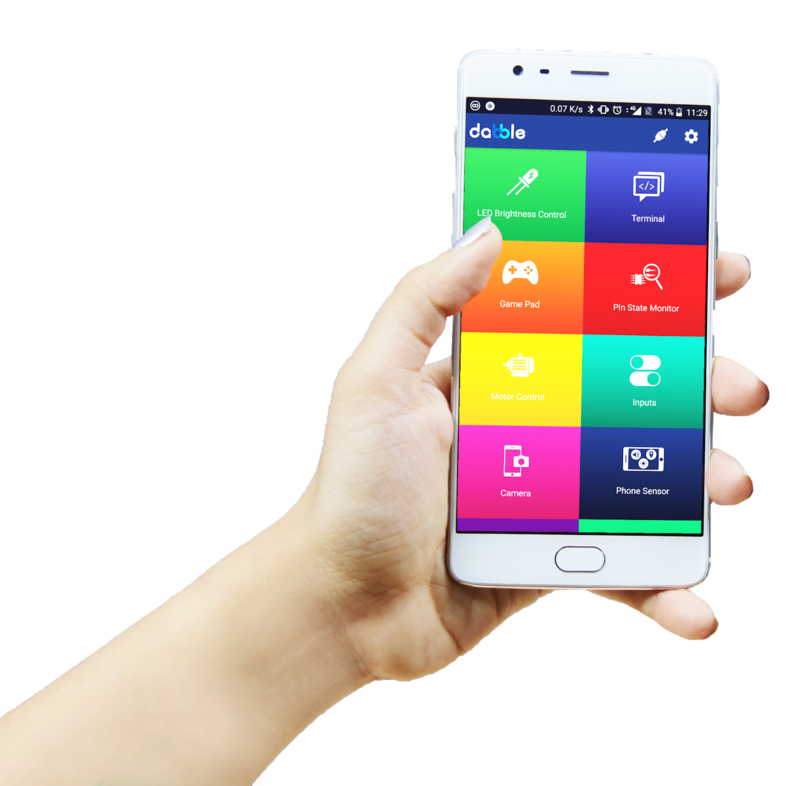 App to control projects and give them flexibility: Dabble, a project-making mobile application developed by STEMpedia, is exactly that! It transforms any Smartphone into an input/output device and lets one control and communicate with the hardware wirelessly and access various features of the Smartphone such as its sensors and camera. They also have add-on kits in combination with the Starter Package, which will enhance the students' interest and help them through the journey and up the learning curve. Hence, the Starter Package is indeed a long-term investment. This tool is something that one can add on with other offerings from STEMpedia as they move up the learning curve with their state-of-the-art resources. Experts from various backgrounds have been using it to great extents and one can always use its flexible compatibility with other tools to create new projects. With STEMpedia at your side, even the sky isn't the limit. STEMpedia is launching their Starter Package on Kickstarter. You should check out their campaign to see the amazing things they're offering. In a fast-moving world where technology and engineering are going to find their way into every aspect of our lives, we need to prepare the current generation for the future. This is where STEM education comes in. To ensure that the youth is future-ready, teachers all over the world need to guide them towards the right path. For this, they have STEMpedia by their side, providing them with the latest ed-tech, learning resources, and everything else they need to guide their students.